My number one make. I love everything about this dress! The pattern, the fabric, everything! Funny enough, I only started wearing it a lot during the last few weeks. It looked kinda weird with a cardigan due to the high neckline and it took me some time to figure out how to style it without one. Now I’m either wearing it without a cardi (if I know I’ll be indoors a lot) or layered over my black and white striped Plantain tee, which makes me look extra “design student”. This project was the biggest surprise! 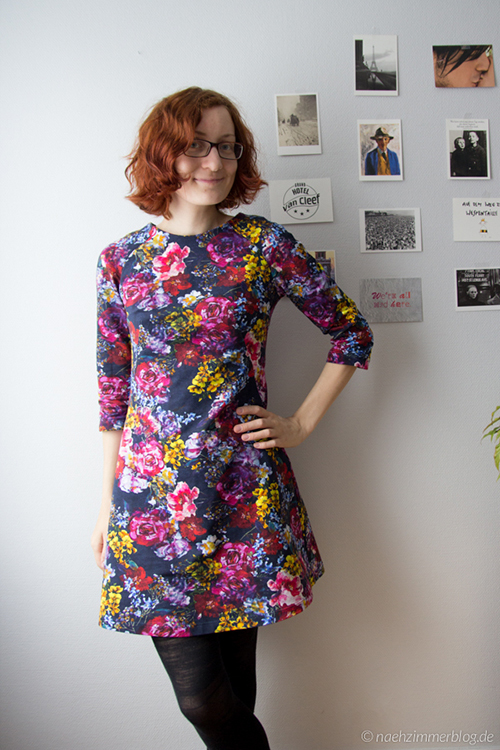 Sewn up in a day on a whim, it turned out to be one of my favourite garments of the year. The style, the colour, the way it looks like an apron but with a certain elegance, somehow totally makes it feel like “me”. I’ve worn it so much last year. Oh, and that striped Plantain tee definitely deserves an honorable mention: Although it hasn’t been blogged yet, it’s so versatile, I wear it almost on a daily basis. 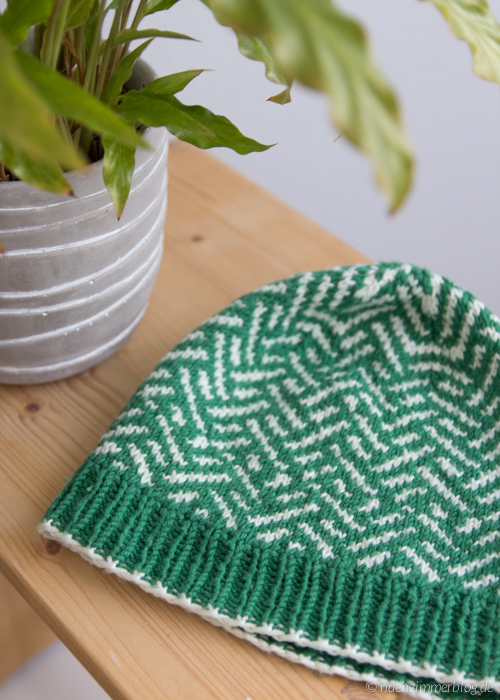 This was my third hat ever and it has everything that I love: My favourite colour, a beautiful pattern and the property to provide a certain warmth. Sadly, it turned out a little too small, but I re-knit it over the holidays and now it fits perfect. Hat-knitting is a skill I wish I had learned earlier. Not only do I get high-quality hats for a small price, but I love switching between different hats during the winter season. I still need some serious inspiration on how to style this tee, but other than that, I absolutely love it! 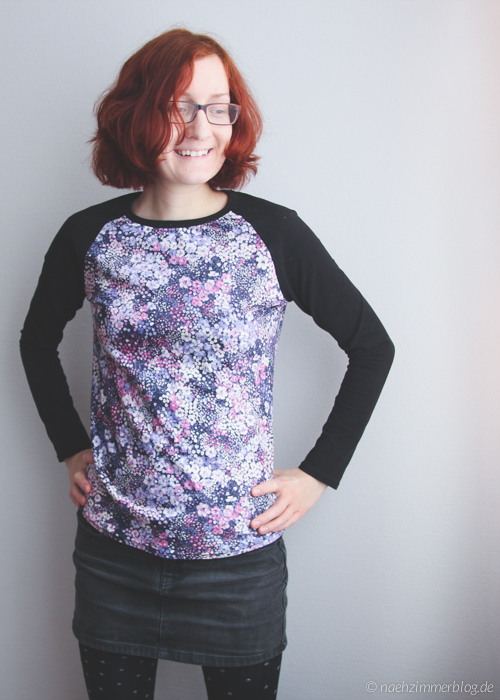 The feminine purple floral pattern paired with the more masculine baseball tee shape is great and the colours go great with my hair. Right now it’s a bit too cold for this shirt, but once spring is around, I’ll definitely try to get some more wear out of it. 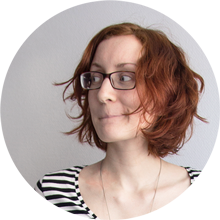 All in all, I’m really proud of all the things I made in 2015. The great majority are things that I love and wear a lot, with only very few exceptions (gotta fix the issues on my Victoria blazer). 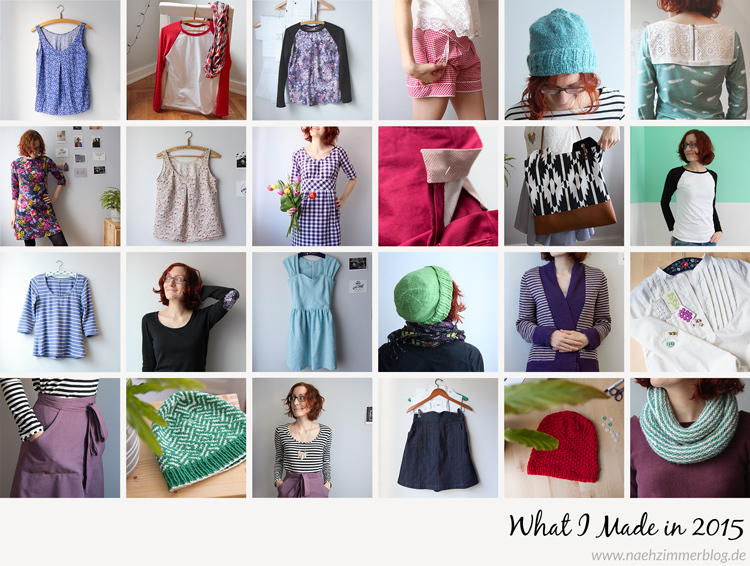 I’m excited to explore my personal style and sewing (and knitting) skills further in 2016. Okay, I’m off now to meet some friends for burgers and cocktails. Wishing you a pleasant Saturday evening (or just a great weekend, depending on your timezone).